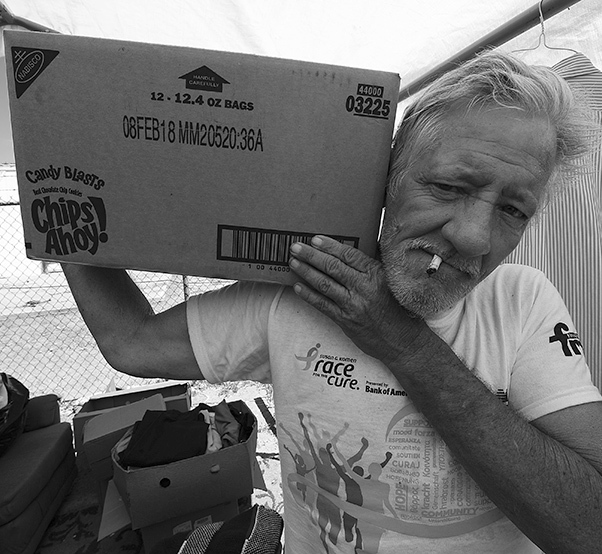 A homeless veteran carries a box of clothes at Bravo Base – “Camp Conklin” in Tucson, Ariz., Aug. 26, 2017. Bravo Base provides shelter to veterans and civilians alike so they can get back on their feet. 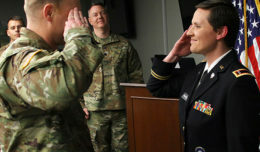 The Airmen spent hours giving back to those who sacrificed so much for their country. Camp Conklin is run by the Veteran’s on Patrol group that gives shelter to U.S. veterans as well as others around the area. It is located on the south side of Tucson across the street from Santa Rita Park and provides shelter for those in need, for as long as needed. U.S. Air Force Airman Leadership School students dig up weeds at Bravo Base – “Camp Conklin” in Tucson, Ariz., Aug. 26, 2017. The ALS class was originally supposed to dig trenches so the area would not flood when it rained, but the project evolved into a grounds upkeep mission. All the camp’s residents are responsible for the base’s upkeep and each other’s safety. Though the veteran’s teamwork helps them become more self-sufficient, volunteers are always welcome. Every iteration of ALS does a community based volunteer event, and this class found it imperative to make sure the veterans and civilians at Bravo Base got the help they needed. Benjamin Mather, a Bravo Base resident, explains the roles he plays in day-to-day activities at Bravo Base – “Camp Conklin” in Tucson, Ariz., Aug. 26, 2017. Mather doesn’t have a specific role like the veterans that stay at the camp, but instead helps wherever is needed in order to keep things running smoothly. Bravo Base does something that few other camp based shelters do: they provide veterans and civilians alike with a sense of community that helps them get back on their feet. 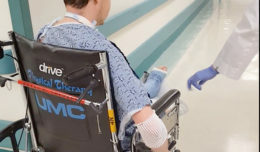 Once the residents of Camp Conklin are ready to get back into the world, the camp continues to support them and reminds them that Bravo Base’s doors are always open to them if they ever need to return. 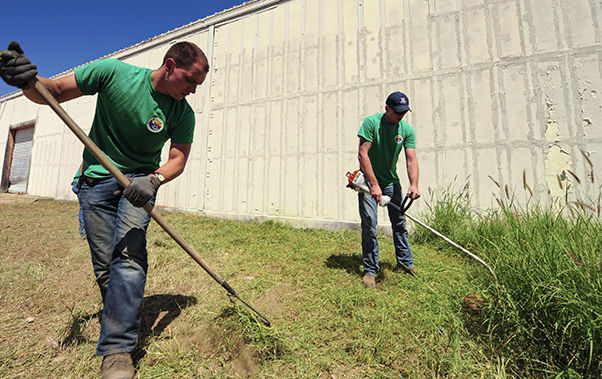 U.S. Air Force Airman Leadership School students cut down tall grass and rake up the trimmings at Bravo Base – “Camp Conklin” in Tucson, Ariz., Aug. 26, 2017. Every iteration of ALS provides its students with different community related volunteer opportunities. 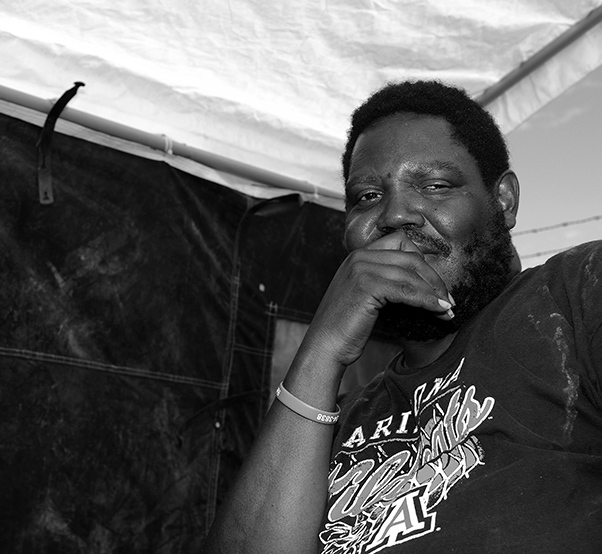 A homeless veteran recalls how his life path lead him to staying at Bravo Base – “Camp Conklin” in Tucson, Ariz., Aug. 26, 2017. 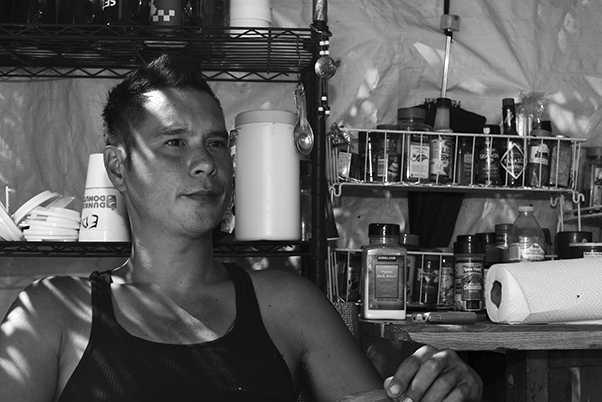 This veteran has been at the camp for five weeks and says he will be prepared to get back into the world soon. 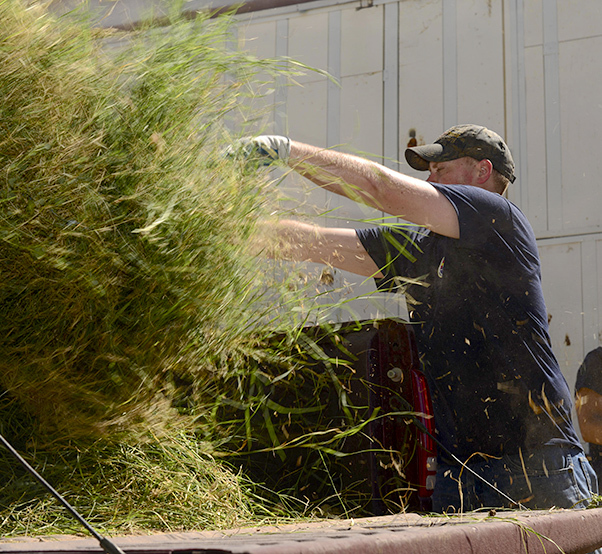 U.S. Air Force Airman Leadership School students dispose of grass trimmings and weeds at Bravo Base – “Camp Conklin” in Tucson, Ariz., Aug. 26, 2017. The ALS students performed grounds upkeep to ensure the area meets city regulations. 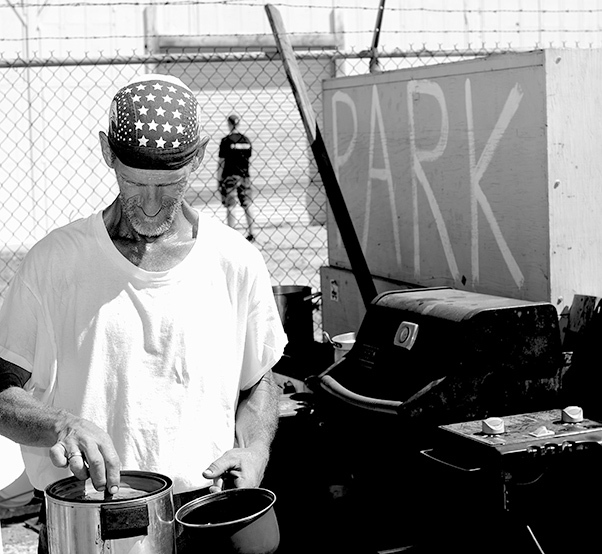 A homeless veteran prepares coffee for his fellow veteran’s and volunteers at Bravo Base – “Camp Conklin” in Tucson, Ariz., Aug. 26, 2017. Bravo Base provides shelter to veterans and civilians alike so they can get back on their feet. 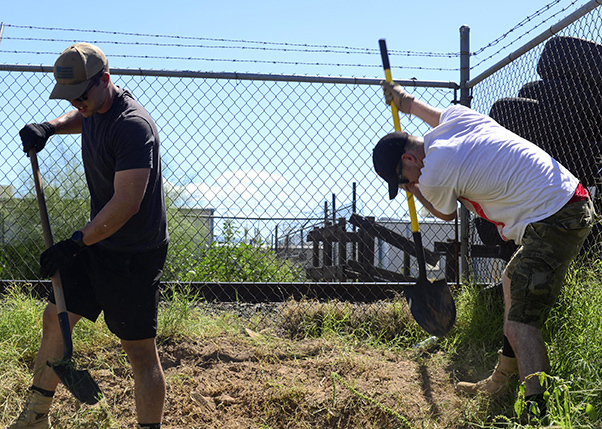 U.S. Air Force Airman Leadership School students volunteer at Bravo Base – “Camp Conklin” in Tucson, Ariz., by landscaping the area and providing linen to the camp Aug. 26, 2017. Every iteration of ALS provides its students with different community related volunteer opportunities.